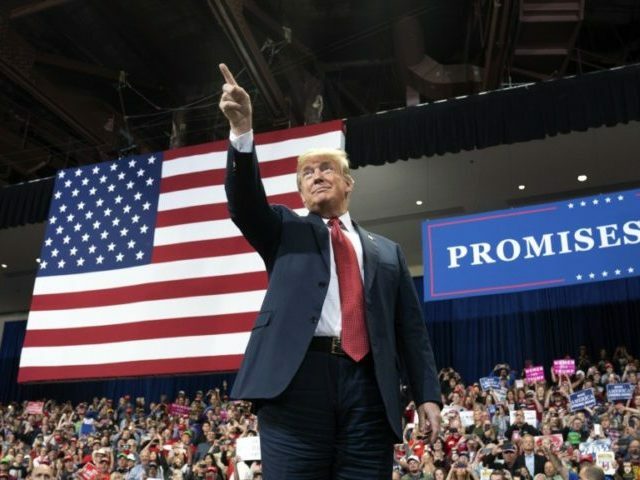 President Donald Trump announced plans for a pair of rallies in Florida this week to push Republican candidates across the finish line. Current Governor Rick Scott is challenging Senator Bill Nelson in the Senate, as the polls for the race show a razor-slim margin. Republican Rep. Ron DeSantis is also facing a tough race for governor against Democrat mayor Andrew Gillum who is leading polls with a slim margin. Trump will campaign in Fort Myers, Florida on Wednesday and in Pensacola, Florida on Saturday. Democrats are desperate for big victories in Florida after Republicans won the state convincingly in 2016. Former President Barack Obama announced plans to rally Democrats for Gillum and Nelson on Friday in Miami, Florida.